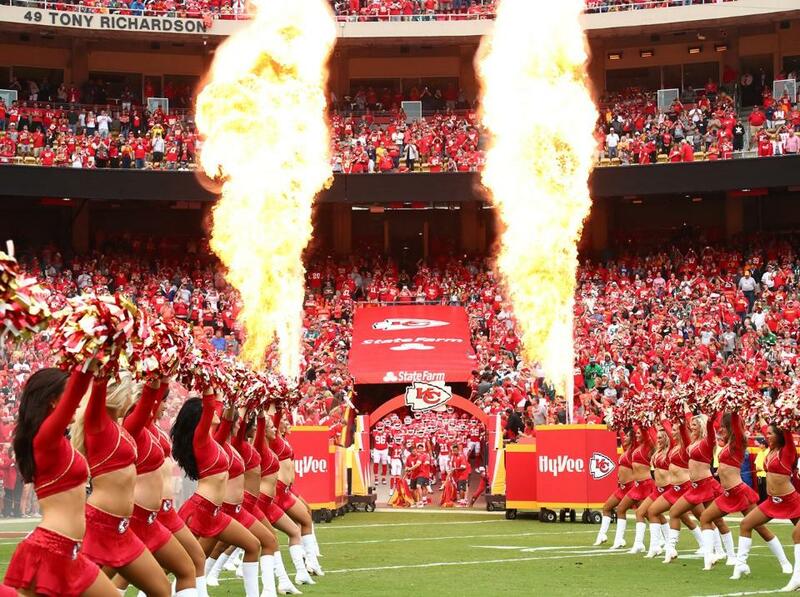 Last spring the Kansas City Chiefs Cheerleaders decided it was time for a new look. When Director Stephanie Judah contacted us to help her design a new signature uniform, the biggest question on the table was: should they go red?! The question of red was something they've thought about before. 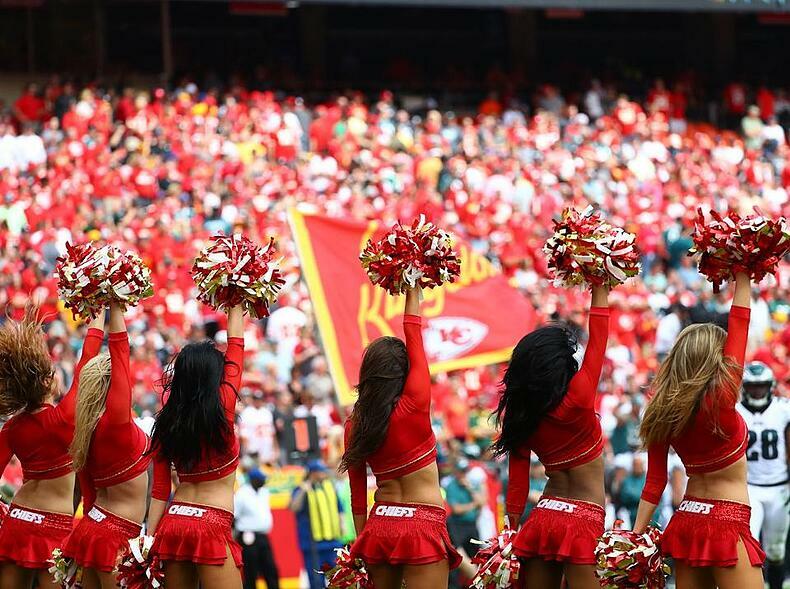 "Stephanie initially concepted the idea of making their signature uniform red at the start of their 2016 season, however, the timing wasn't right so we put the idea on hold until this year," explained Megan, their account manager at The Line Up. 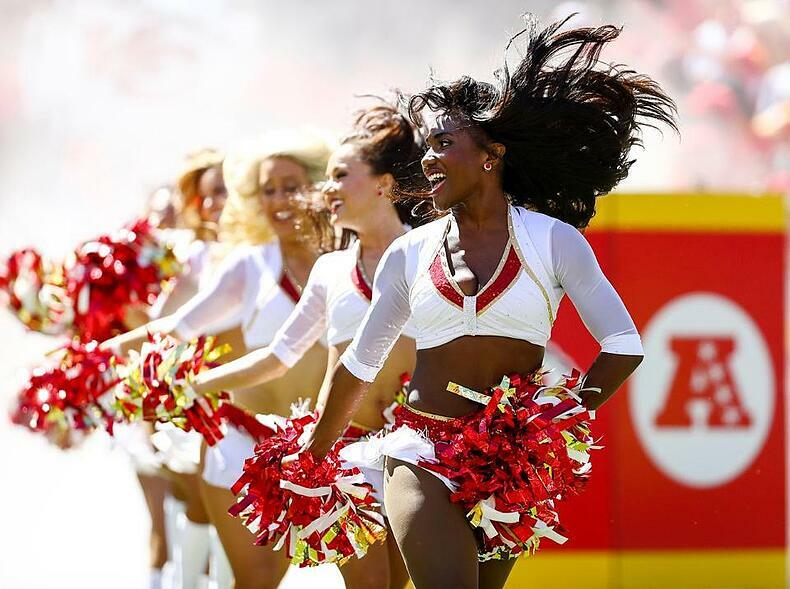 The Chiefs, like many pro NFL cheer teams, had been sporting a white uniform. White was a great choice for very good reasons - it pops on the field and looks great on a variety of skin tones. But to really set themselves apart from the competition, the team decided to take their current uniform's silhouette and update the colors for a fresh look. After 8 years of wearing white, this summer Chiefs Cheer unveiled a new, bold crimson signature uniform! Check out this fun video of the uniform unveiling - we loved seeing the cheerleader's reactions! During the design process, it took a couple of prototypes to get the best balance of colors and fabrics on the top and skirt. "The first go at it, the garments looked too sporty and athletic, rather than glamorous," Megan said. "So we tweaked some things and changed the rhinestone color, which made a big difference." The final look was a great example on how simple color changes can make a huge impact. The overall design of the outfit remained the same, except for a new color and fabric combination. "What they did was a simple way to re-glam their signature outfit, without totally redesigning it," the designer Michelle said. "Fabric changes make a huge difference and it looks like a completely different outfit from the original, in my opinion!" So true! Another benefit of keeping the same pattern? No surprises with fit, which made sizing easy, and no patterning fees! 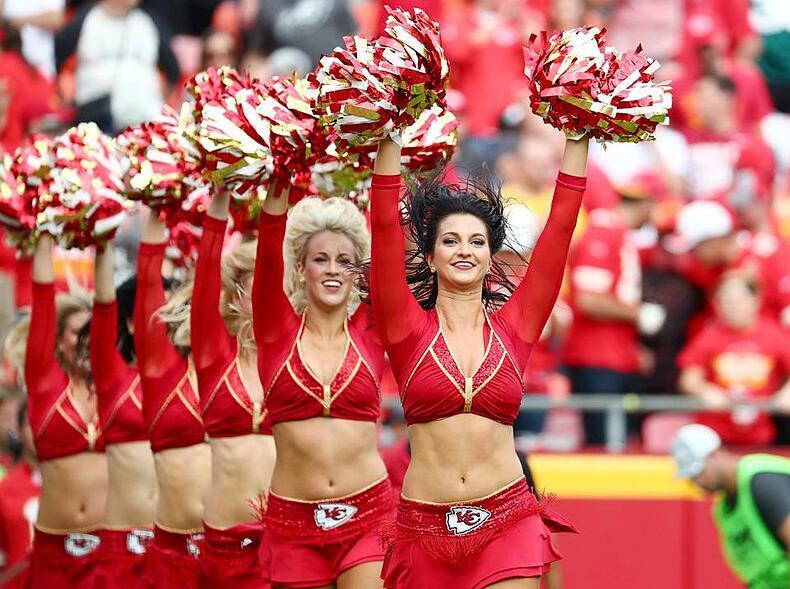 With a little time - four months from design to order shipment - and collaboration, the Chiefs were able to create a custom uniform that maintained their brand, kept the glamour, but still gave the team a fresh look! Thanks Stephanie - we can't wait to see more in the season to come!